August | 2012 | YesBiscuit! 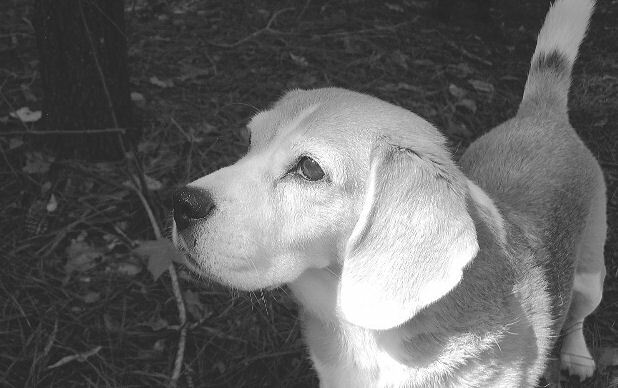 Cody, an adoptable senior in WI. 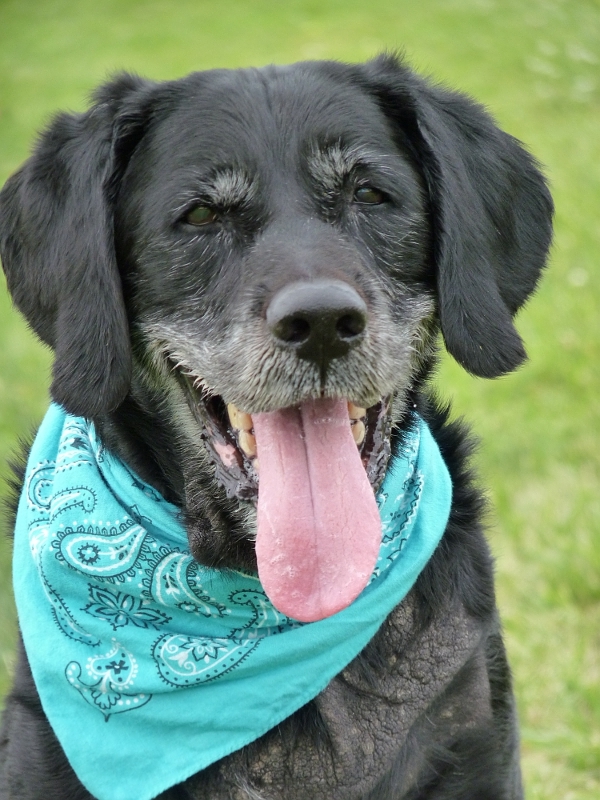 Cody is a handsome 12 year old Labrador Retriever. He came into the shelter as a stray on June 14, 2012 and was almost completely bald on his underside. Cody was examined by a vet and now takes prednisone every day and his coat is growing back in really well. He readily eats his pill when it is hidden in a small bit of a soft food. Cody is neutered, microchipped, dewormed, frontlined, and up to date on his vaccinations. Cody is a very happy go lucky, loving dog. He makes friends everywhere he goes and would be a great family pet. If you sit down in the grass with him, Cody happily lays down by your side and rolls over for belly rubs. Cody is perfectly house trained and always goes potty right away when you let him outside for a break. Cody also loves treats! He already knows how to “sit”, “stay”, “down”, “shake a paw”, and “kennel up” on command. The other day he was working on “leave it” and “go to your mat” and was a very quick learner! He has already learned his name and when you call “Cody” he will come running with his tail wagging to see you want. Cody is very polite and does not get up on the furniture or chew on anything in the house except his kong (which he loves to eat his meals out of). He loves to go for walks and will go quietly past other people and dogs without barking or pulling on the leash. He is also very good about riding in the car. If you open up the door he will jump right in all by himself and run over to sit in the passenger seat. He sits quietly and looks out the window without bothering you while you are driving. Cody is very people oriented. He will quietly follow you around the house and quickly settle down by your side when you stop to work on a project or use the computer. When you sit at the table to eat supper he lays down quietly on the floor and does not beg for table scraps. Cody is a very soulful old man. He spends most of his time laying around the house resting but loves to be by his people. He enjoys being brushed with his soft bristle brush and being petted and stroked all over. If you would like to adopt a very loving sweet, senior doggie please take a look at Cody! Cody has an adoption video on YouTube. 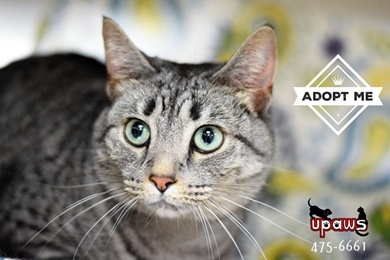 This shelter’s save rate in 2011 was about 95%. Go Directly to Petharbor. Do Not Pass Go. Do Not Collect $200. Excerpt from a letter from the Chicago pound (click to enlarge). They are working tirelessly to get approximately half the pets to the kill room. But don’t criticize, we’re all on the same team, there’s no I in KILL. OK, there is – but only one! I mean, some words have two Is and other letters and stuff. Petharbor.com is the primary resource available for citizens looking for lost pets and not for the general public looking to adopt. Screencap from the Chicago ACC website (click to enlarge). 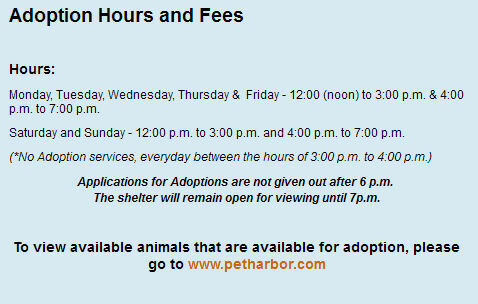 Go to Petharbor.com if you want to adopt. D’oh! 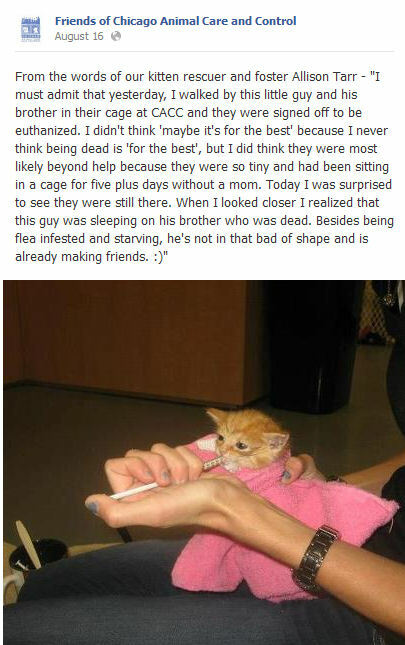 Screencap from the “Friends of Chicago Animal Care and Control” page on Facebook (click to enlarge). Orphaned kittens left in a cage for 5 days. One surviving kitten asleep on his dead littermate. Say, did I mention they’re only killing about half the pets? I’d like to go back to Petharbor now please. If you can spend 12 minutes of your time viewing this trailer for an upcoming documentary on the No Kill movement, I think you will be inspired to ask the question “What is Plan B?” for the community pets of Kershaw Co. Currently, we are killing approximately 3 out of every 4 pets that enter the shelter. We can do better. I have a Plan B. If you are interested in learning more, please let me know. I am happy to send you literature in the mail, meet with you in person or both. I can best be reached by e-mail but please feel welcome to leave me a voicemail message if you prefer. Image of Charleston ACO hanging a gator by a chokepole from the WCSC website. 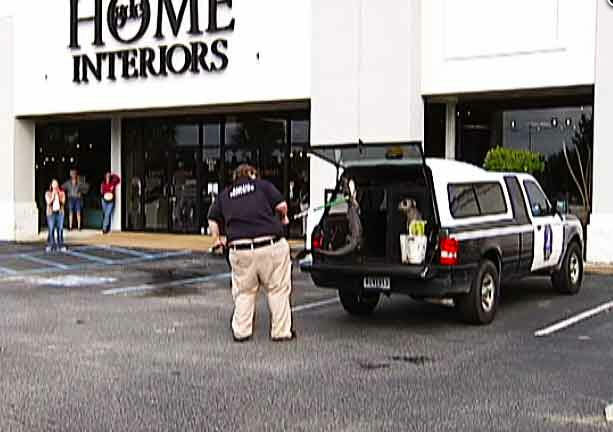 When an alligator turned up 1 mile away from the nearest body of water in the parking lot of a store in West Ashley, SC, Charleston AC came to save the day. And by “save the day”, I mean: Snare the gator in a chokepole, drag and lift him by said chokepole and place him in an open wire cage directly next to some poor dog the ACO already had on the truck. It’s all on video (including plenty of ACO asscrack, in case you are watching at work). It makes me wonder what handling technique this guy used to get the dog into his cage. We do not have tasers, stun guns, cattle prods, mace, pepper spray, or any, similar items in our facility, nor do we advocate using them on dogs for any reason. There is a minute chance that a taser or stun gun would be useful in self defense against a serious dog attack, but the dangers of over-reliance on such items and of using them incorrectly far outweighs their benefits. In the case of mace and pepper spray, they are as likely to intensify an attack as to discourage one, and the risk of self-injury is quite high, especially indoors. The best course of action in a dog attack, if escape is not an option, is to learn how to restrain the dog. Appropriate restraint is the most effective way to minimize injuries. If one lacks the physical strength to restrain the dog, adopting a defensive position, ‘turtling up,’ may be the best option. In terms of training, the aforementioned items are never appropriate. No one who works with dogs should put him or herself into a position where these things would ever be considered an option. If used to ‘correct’ an animal’s behavior, one can expect that behavior to further deteriorate. These are extreme examples of the ‘positive punishment’ quadrant of operant conditioning, in which an aversive stimulus is introduced to discourage the repetition of a behavior. Unfortunately there are other mental processes at work that tend to result in the aversive stimulus becoming linked to various other stimuli. This is all the more true when more brutal forms of punishment are employed. There seems to be an endless supply of ‘extreme’ dog trainers and handlers for whom adrenaline and dominance are the goal. The entirety of their motivation and subsequent approach is inappropriate, unethical, and ultimately ineffective. A focus on the health and safety of the animal will always yield the best result in terms of its behavior, as well as the health and safety of the handler. The mace cans were found in several locations including a closet and in drawers of the kitchen. In addition, investigators found an invoice for the purchase of the mace. They would not comment on the mace that was found. I will update this post if new information becomes available today. How many times have you heard a shelter vol or staffer open a marketing pitch for a pet in need with something along the lines of, “It never ceases to amaze me how people can dump a senior” or “I am so disgusted by people who don’t spay and neuter their pets and then dump the litters at the shelter” or “It is shocking that people would dump their animals just because they’re having a baby”? OK shelter peeps, message received. You have made clear your contempt for people who surrender their pets to a shelter. We got it. Can you please stopped being amazed, disgusted and shocked now? Because you are only hurting the pets who need the public’s help. You are turning off members of the public who would respond to your requests for donations, foster homes, volunteer help and adoption drives. You are driving away the solution to your problems. Why not market the pets for what they are now, not your opinion of where they used to be or how they arrived at the shelter? Why not rise above your condemnation and ill will toward the public and keep the door open for assistance and education? Why not make the public feel you are the most approachable resource in the county when they have questions on training, need assistance with pet food or want to find out about low cost spay-neuter options? Leaving your animosity toward the public behind and focusing on getting pets out alive costs nothing. And it can’t possibly yield any worse results than filling up the dumpster with dead pets, which is what most municipal facilities are doing now. What would it hurt to try a simple alternative? Bear in mind that some members of the public are amazed, disgusted and shocked that the people tasked with sheltering community pets are instead warehousing and killing them. If you want to bring the public – the solution – into the fold, you’re going to have to do better than reminding them how awful they are every chance you get. 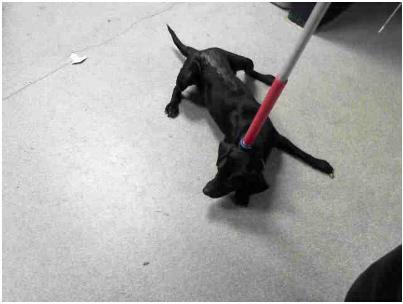 Dog #1038663 at the pound in Charlotte, NC, as pictured on PetHarbor. According to Tracy Terry, Chief Animal Control officer for Surry County, Tamira Thayne is wanted for animal cruelty and inadequate care of animals. Terry told WAVY.com Thayne has been operating an illegal shelter as long as she has been in the state of Virginia. No details have been provided regarding the cruelty complaints and authorities have been unable to locate Ms. Thayne as of today. Update, August 28: The story on WAVY.com was updated late last night to include a bit of additional info. Ms.Thayne has been served with the animal cruelty warrant. Thayne allowed WAVY.com to observe the dogs Monday afternoon and where they are kept. One dog was seized by AC during the TV crew’s visit but the other eight were left in place. The chief ACO promised more information by the end of the week. There is a video from the late news broadcast showing some of the dogs who appear to be well cared for and socialized. I guess the thing that raises a red flag for me here is the fact that AC did not seize any dogs, even when there was an outstanding cruelty warrant, until the TV news crew arrived. It could be a coincidence but it looks suspicious to me. Animal shelters throughout South Carolina will get a visit this week from a shelter services expert with a national humane organization. 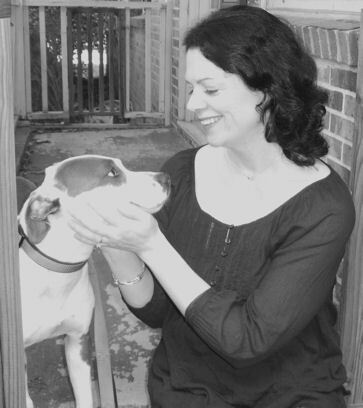 Heather Bialy is Director of Shelter Services with the Humane Society of the United States. She is scheduled to visit shelters and animal rescue groups throughout the state this week. The tour includes meetings with shelter representatives, a survey of shelter facilities and trainings for shelter staff. “The Humane Society of the United States is proud to work with local shelters and to assist them with many of the struggles they face on a daily basis,” said HSUS South Carolina State Director Kimberly Kelly. Time to spruce up the kill room with a hang-in-there-baby kitten poster. Note: Like all posts on this blog, the following is representative of my opinions and not intended to represent the views of any shelter or other group. 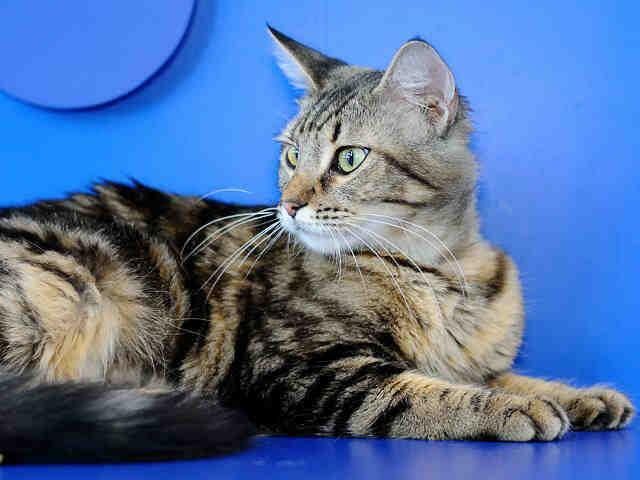 Dahlia (ID #633902), an adoptable cat at Austin Animal Center in TX, as posted on Facebook. Saving every healthy pet who enters the shelter, regardless of arbitrary criteria such as age or body shape, by adopting them out, placing them with fosters or transferring them to rescue groups. Saving every pet whose illness or injuries are treatable. Saving every healthy/treatable feral cat. (b) A judge has deemed the dog too vicious to live with people. Promptly and humanely euthanizing pets who are suffering and whose veterinarian determined prognosis for recovery is poor or grave. Working with the general public, rescue groups, foster homes, sanctuaries, hospice groups and pet advocates to save pets’ lives. Aggressive marketing of every pet in the shelter through such efforts as online postings, offsite adoption events and weekend shelter hours. Maintaining transparency in shelter operations. Providing environmental enrichment, socialization and exercise to all pets on a daily basis. Killing healthy/treatable pets, even if an owner requests the killing. Threatening to kill healthy/treatable pets. Allowing pets who are medically hopeless and suffering, as determined by a veterinarian, to continue suffering. Manipulating numbers, skewing statistics or sharing otherwise false data with the public. Hiding pet records, statistics or other basic information from the public. Locking animals away from the public except those few who are in need of quiet recovery, as determined by a veterinarian. Marketing only a selected portion of the pets at the shelter for adoption. Requiring adopters to submit to unreasonable screening protocols or charging unreasonable fees for some or all pets at the shelter. Unidentified kitten at the Edgecombe Co pound in NC.